Next SAT: January 23, 2016. THIS IS THE FINAL OPPORTUNITY TO TAKE THE ‘OLD’ SAT. Register by December 28. We are advising clients NOT to take the March, 2016 SAT. Call to discuss if you have questions! Next ACT: February 6. Register by January 8. Call us for test prep and tutor referrals! Happy Holidays from Magellan College Counseling! We wish you health, happiness and acceptance letters in the coming year! To our clients – thank you for putting your trust in us. 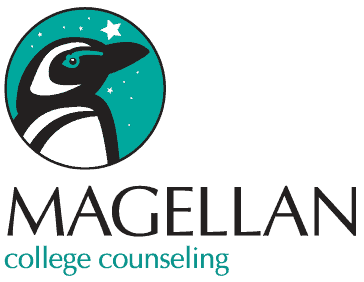 As you may know, Magellan’s four counselors frequently visit colleges around the country. Sometimes we visit colleges you’ve never heard of! We do this because it helps us guide students in their college exploration. In November, for example, Evelyn visited eight small colleges in rural Virgnia, and Debbie visited colleges in Boston. You can see our write-ups and photos from the colleges we’ve visited here. While winter break is not the best time for high school students to visit colleges (because the college students aren’t there), for some families it’s the only option. On our Resources page, you’ll find a downloadable ‘campus visit checklist’ from the College Board that will help you get the most out of every college you visit! A “drive-through” of a college doesn’t tell you anything except what the buildings look like. To get a better feel for a college, spend a few hours there; eat in the cafeteria; speak to students and professors if possible; sit in on a class; tour an academic department; visit the dorms. All of these factors could help you decide if the college is right for you! Seniors: Be strong!! Decisions are coming SOON for those of you who submitted ED or EA applications. Juniors: It’s time for you to start your search, if you haven’t already! The very same phone that you use for Snapchat, Instagram and video games? It can also help you do college research! Commit to investigating one college each week. Parents: Get an estimate of your Expected Family Contribution, to get a feel for your college financial obligations.